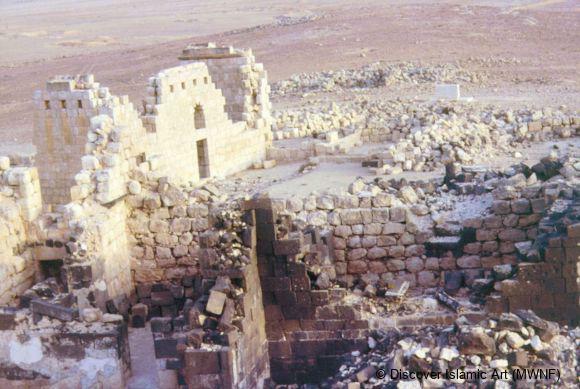 The qasr is associated with the Umayyad caliph, Hisham bin ‘Abd al-Malik (r. AH 105–25 / AD 724–43) and by some scholars with Caliph al-Walid bin Yazid (r. AH 125–6 / AD 743–4). 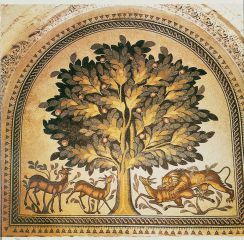 Qasr Hisham (or Hisham's Palace) is considered to be one of the most beautiful and grandiose of the Umayyad qusur (palaces), in terms of its stucco wall decorations and mosaic floors. 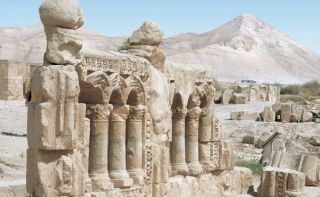 The palace was uncovered during the course of excavations undertaken by Robert Hamilton and Demetri Baramki during the 1930s and 40s. 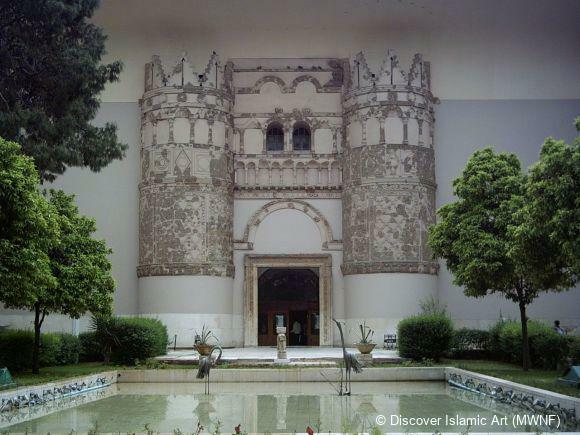 The complex consists of a spacious palace, public mosque, private mosque, a minaret, a fountain, a swimming pool, and a large and splendid bathhouse (hammam). Excavations to uncover the building took place at the north of the palace complex where a large series of rooms were discovered. 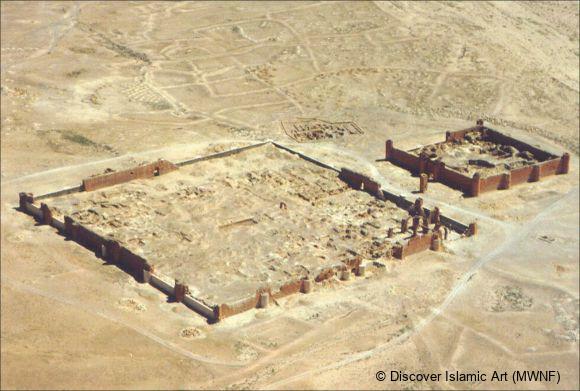 These were possibly residences for those who served at the palace or commercial caravanserai. 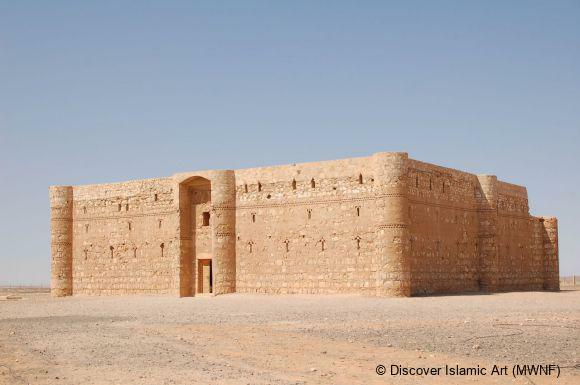 The qasr's main entrance portal is located in the southeast corner leading into an open courtyard. In the courtyard many archaeological finds have been uncovered, including remains from an earthquake which struck the palace (around 130 H / 747-48). To the north of this courtyard is a swimming pool, the floor of which is paved with mosaics. A little to the west of the pool and the courtyard is the entrance to the palace interior. The entrance leads into a spacious internal courtyard that is surrounded by two storeys of rooms and halls on the south and west sides. At the centre of the arcade on the south side of the courtyard, adjacent to the base of the minaret, there is a small mosque that was designated for the use of the caliph. 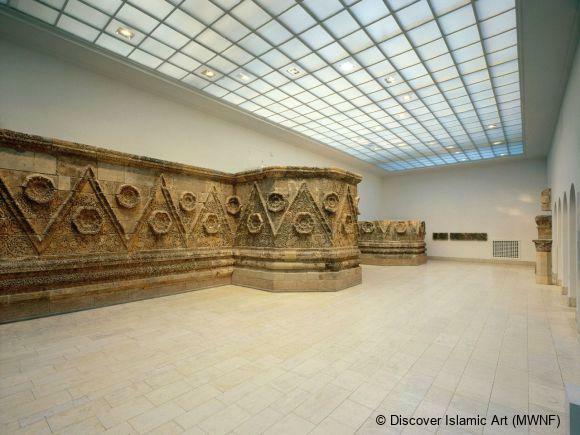 The public mosque is located to the north of the eastern portico where, on the south wall, there lies the recess where the mihrab once was, facing in the direction of Mecca. Most sections of the mosque were not roof-covered except for the area close to the mihrab, which was preceded by arcades resting on a series of columns. A corridor moves northward between the building of the palace and the great hammam. The palace hammam consisted of a huge square hall measuring about 30m in length, and had a mosaic floor characterised by geometric designs. This huge hammam hall is crowned by a dome supported by 16 piers. 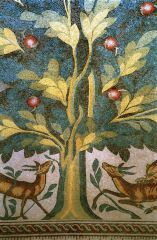 The hammam proper is preceded by a pool, while in the northern area of the hammam there is a series of rooms that includes the reception hall (auditorium), which features a mosaic floor portraying a lion pouncing on a gazelle. 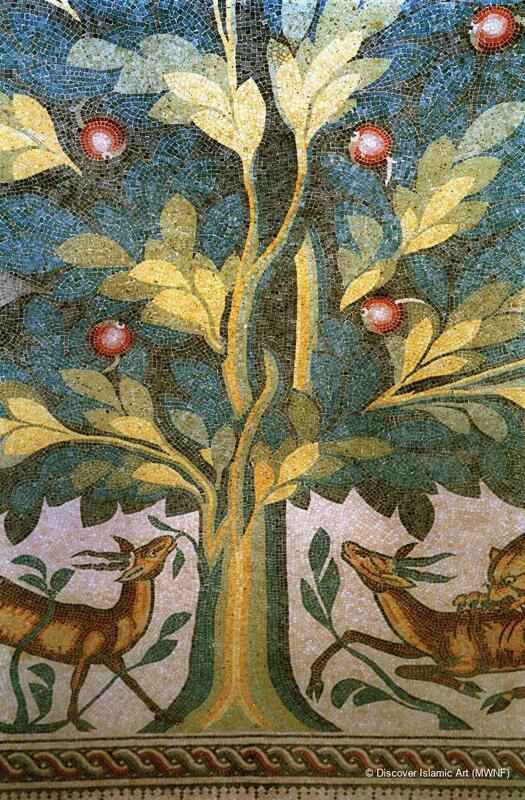 This panel is considered one of the most beautiful mosaics to have been discovered in the region. Next to the reception hall are the hot rooms (caldarium), designated for bathing, a hearth and a water closet. 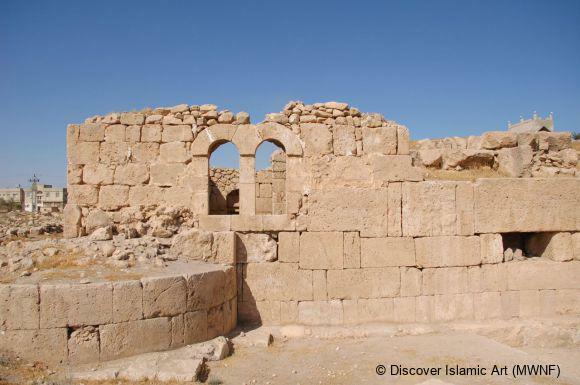 Canals have been uncovered on the site which brings the water from a spring at 'Ayn al-Dyuk and 'Ayn Nu'aymat, located about 8 km from the hammam. 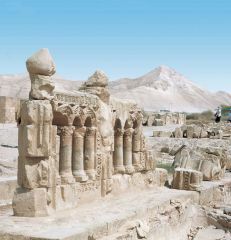 The canal would have provided both the hammam and the qasr with an adequate water supply. 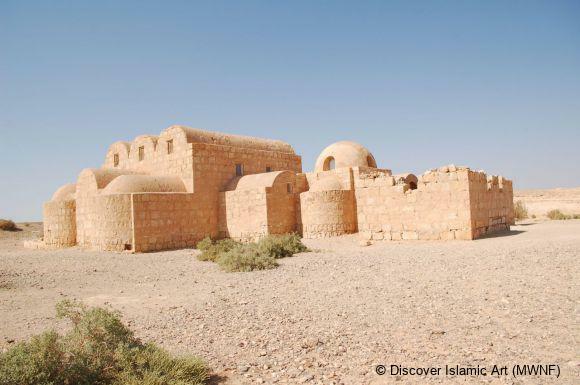 This is one of the most important and grandiose of the Umayyad palaces. 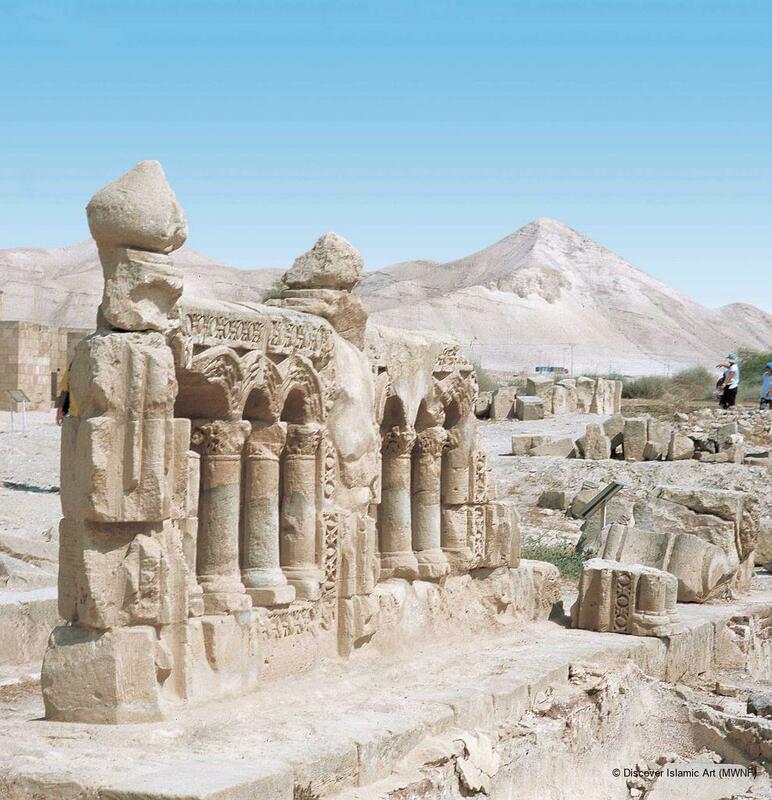 All the architectural and decorative arts of the Umayyad period are gathered within it. 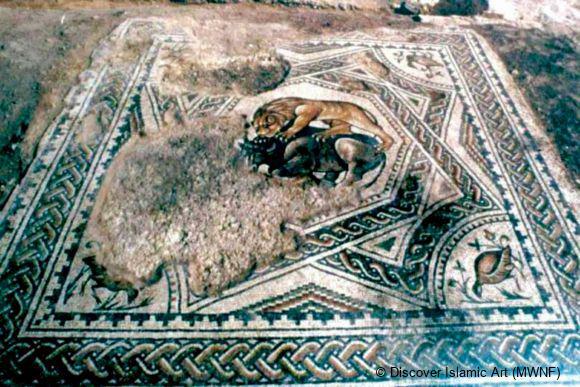 It contains one of largest and most beautiful Islamic mosaic floors to have been discovered. 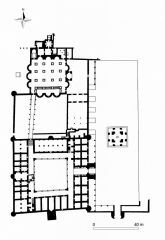 The palace complex has a square floor plan and was two storeys high (nothing remains except parts of the ground floor). 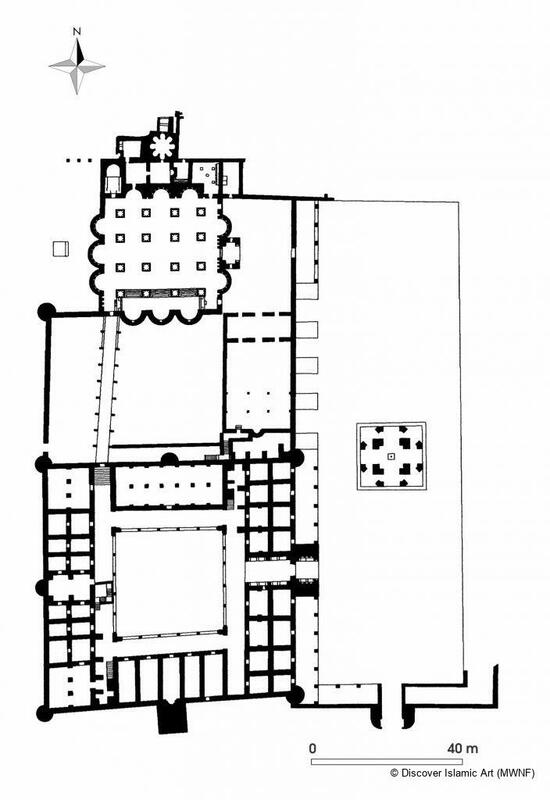 In the middle is an open-air courtyard surrounded by porticoes, behind which are rooms. There are two mosques, one public and one private, a pool, a large bath, a throne room, a fountain, large gardens and canals bringing water from nearby springs. The building was dated by means of archaeological excavations which took place at the site. Creswell, K. A. C., Early Muslim Architecture, Volume 1, Oxford, 1969. Hamilton, R. W., “Who Built Khirbat al-Mafjar?”, Levant, No. 1, 1969, pp.61–7. ________, and Grabar O., Khirbat al-Mafjar, Oxford, 1959. 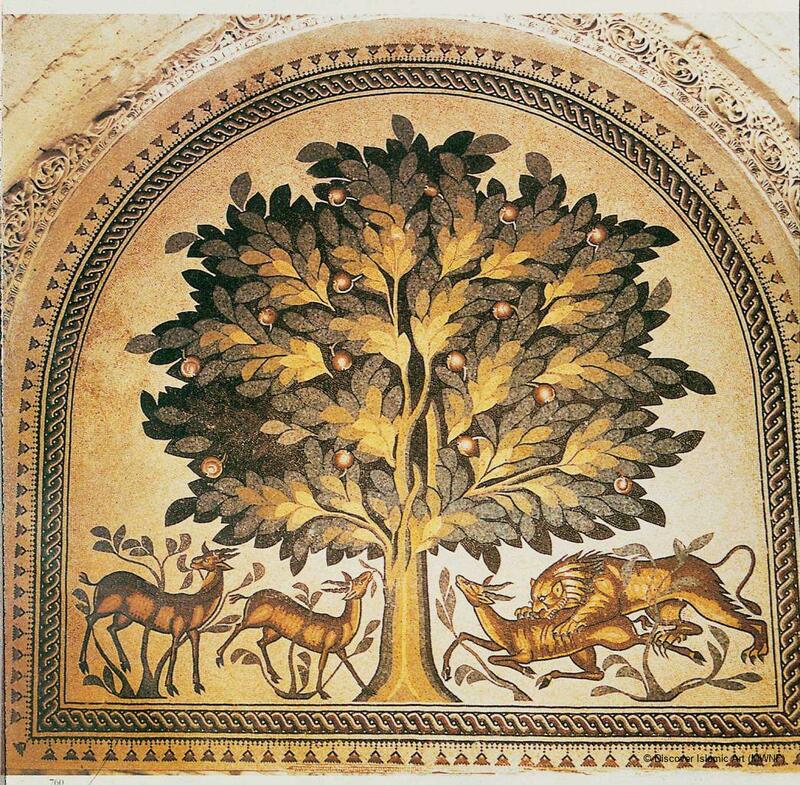 Pilgrimage, Sciences and Sufism: Islamic Art in the West Bank and Gaza, pp.144-46. 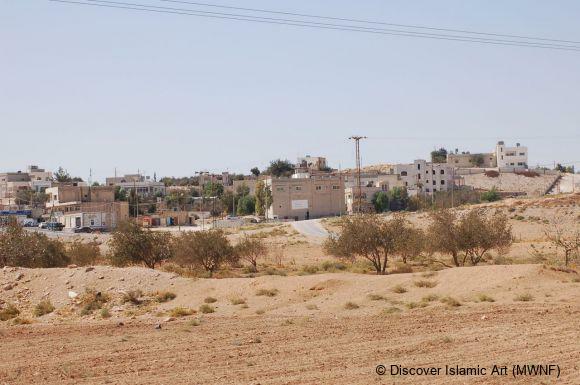 Yusuf Said Natsheh is a Palestinian and since 1997 he has been Director of the Department of Islamic Archaeology in al-Haram al-Sharif in Jerusalem. He is a lecturer at al-Quds University. He was educated in Jerusalem and Cairo and in 1997 obtained his Ph.D. from the School of Oriental and African Studies, University of London. Dr Natsheh is a council member of many Palestinian societies for architectural heritage and a consultant for various projects on Jerusalem. He has written books and more than 40 articles about Jerusalem's architectural heritage including the architectural survey of Ottoman architecture in R. Hillenbrand and S. Auld (eds) Ottoman Jerusalem: The Living City 1517–1917 (London: Altajir World of Islam Trust, 2000). He has contributed to many international and national conferences. 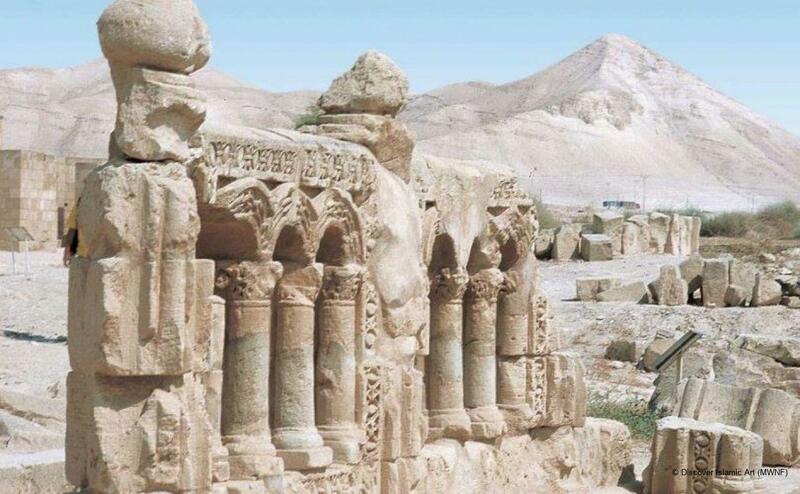 He supervised the restoration project, sponsored by the Arab League, on Mamluk monuments in and around al-Haram al-Sharif, and was Palestinian expert for the UNESCO mission to Jerusalem in 2004.